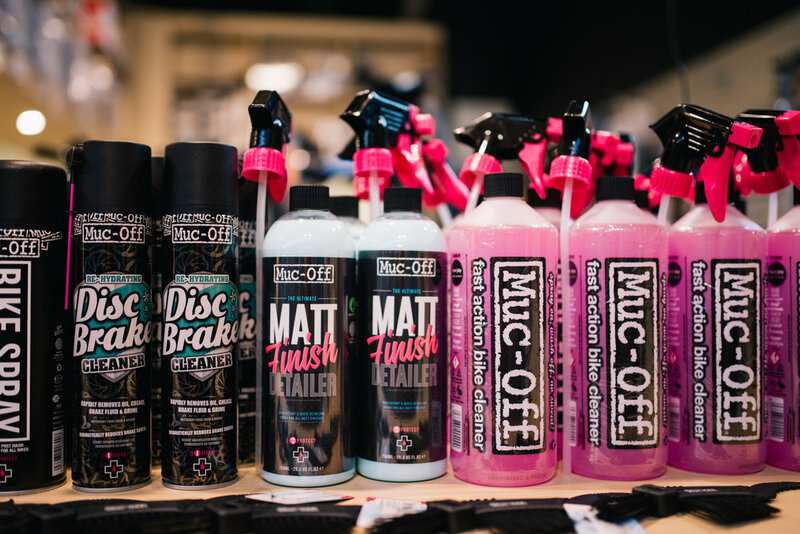 Muc-Off bike maintenance products are now available at MCBC! Team Sky Hydrodynamic Lube - Created in collaboration with Team Sky, this is the"most efficient chain lubricant formula for long distances and/or the harshest of weather conditions". Biodegradable. C3 Ceramic Lube - "up to 10 times the performance of conventional chain oils and lubes"
Nano Bike Cleaner - The famous "pink water"
Bio Chain Cleaner - Biodegradable chain cleaning spray for heavy dirt and grime. Disc Brake Cleaner - Removal of dust and oil on disc rotor, eliminate squeaks. Bio Drive Train Cleaner - Chainring, cassettes and chain cleaning. Biodegradable. Claw Brush - Mud / grime de-clogging, perfect for drive train, chain cleaning.